Phone is paired fine, I can listen to music via BT, I can make and receive calls, I even receive texts. 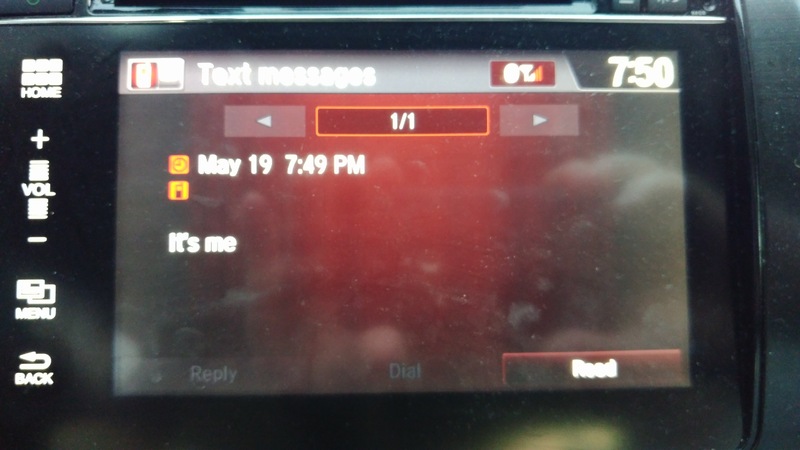 However, the number of person who send the text does not show on the screen (see pic below - you can see the space next to the phone icon underneath date/time is blank. This is where the sender's name or number should appear in the notification). I tried with Android and in Android the sender's number appears fine.